Thank you for including many of my recipes. You know Nancy that by the time Easter rolls around we will all be rolling because we will be to fat to walk after trying so many wonderful recipes. Such a beautiful Easter Cookbook. I love all the great ideas and I am surely going to download this book. Thank you for including my recipe. Have a Blessed Resurrection Sunday!! 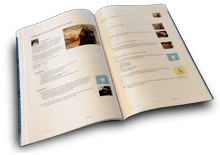 Thank you, Nancy for including my recipe in your cookbook. Happy Easter! Beautiful Easter cookbook Nancy and thank you for including my recipe. I hope you have a Happy Easter. Great book! and I am sure the recipes inside are filled with tradition and love during this special time. I feel blesses to be added. Coleeen..I t is so hard to part with special.. collectibles! in a bath.. tub with lots of bubbles! and starts scrubbing!!!.. SOO cute!! !